The St. Louis Cardinals head to PNC Park on Friday, September 22, 2017 to take on the Pittsburgh Pirates. The expected starting pitchers are Michael Wacha for the Cardinals and Ivan Nova for the Pirates. The odds for this matchup have St. Louis at -130 and Pittsburgh at +120. The Cardinals have a 76-67-8 over/under mark and a 74-77-0 run line record. The Pirates are 79-74-0 against the run line and have a 60-88-5 over/under record. The Cardinals have a 79-72 overall record this season. Starting pitcher Michael Wacha has a 12-8 record with an earned run average of 4.02 and a WHIP of 1.38. He has 146 strikeouts over his 154.2 innings pitched and he's given up 160 hits. He allows 9.3 hits per 9 innings and he has a FIP of 3.68. The bullpen has an earned run average of 3.92 and they have given up 455 base hits on the year. Teams are hitting .246 against the bullpen and they've struck out 480 hitters and walked 164 batters. As a team, St. Louis allows 8.6 hits per nine innings while striking out 8.4 batters per nine innings. They are 7th in the league in team earned run average at 3.9. The Cardinals pitchers collectively have given up 1,292 base hits and 585 earned runs. They have allowed 168 home runs this season, ranking them 28th in the league. St. Louis as a pitching staff has walked 450 batters and struck out 1,256. They have walked 3 men per 9 innings while striking out 8.4 per 9. They have a team WHIP of 1.29 and their FIP as a unit is 4.05. As a team St. Louis is hitting .258, good for 15th in the league. The Cardinals hold a .430 team slugging percentage and an on-base percentage of .335, which is good for 6th in baseball. They rank 15th in MLB with 8.7 hits per game. Yadier Molina is hitting .276 with an on-base percentage of .313. He has 135 hits this season in 490 at bats with 80 runs batted in. He has a slugging percentage of .443 and an OPS+ of 97. 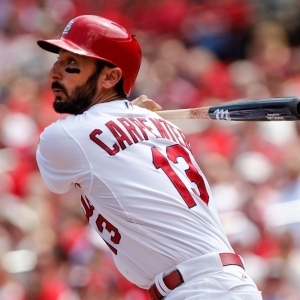 Matt Carpenter is hitting .239 this year and he has an on-base percentage of .383. He has totaled 113 hits and he has driven in 67 men in 472 at bats. His OPS+ is 119 while his slugging percentage is at .445. The Cardinals have 1,320 base hits, including 270 doubles and 185 homers. St. Louis has walked 548 times so far this year and they have struck out 1,258 times as a team. They have left 1,045 runners on base and have a team OPS of .765. They tally 4.76 runs per contest and have totaled 719 runs this year. Pittsburgh has a 69-84 overall mark this year. With an earned run average of 4.20, Ivan Nova has a 11-14 record and a 1.24 WHIP. He has 127 strikeouts over the 180 innings he's pitched. He's also given up 193 hits. He allows 9.7 hits per nine innings and his FIP stands at 4.47. The bullpen has an earned run average of 3.92 and they have given up 488 base hits on the year. Teams are hitting .247 against the Pirates bullpen. Their relievers have struck out 467 batters and walked 196 opposing hitters. As a team, Pittsburgh allows 9.1 hits per nine innings while striking out 7.9 batters per nine innings. They are 13th in the league in team earned run average at 4.26. The Pirates pitchers as a team have surrendered 1,382 base knocks and 645 earned runs this season. They have given up 174 home runs this year, which ranks 24th in Major League Baseball. Pittsburgh as a staff has walked 478 hitters and struck out 1,192 batters. They give up a walk 3.2 times per 9 innings while they strike out 7.9 per 9. Their team WHIP is 1.37 while their FIP as a staff is 4.24. As a team, they are batting .243, good for 28th in the league. The Pirates hold a .385 team slugging percentage and an on-base percentage of .317, which is good for 22nd in baseball. They rank 28th in MLB with 8.2 hits per contest. Josh Bell comes into this matchup batting .252 with an OBP of .329. He has 131 hits this year along with 83 RBI in 520 AB's. He maintains a slugging percentage of .462 with an OPS+ of 106. Andrew McCutchen is hitting .275 this season and he has an OBP of .359. He has collected 149 hits in 542 at bats while driving in 79 runs. He has an OPS+ of 118 and a slugging percentage of .476. The Pirates as a team have 1,255 base knocks, including 235 doubles and 144 home runs. Pittsburgh has walked 488 times this season and they have struck out 1,143 times. They have had 1,078 runners left on base and have an OPS of .702. They have scored 4.02 runs per contest and totaled 615 runs this season. Who will win tonight's Cardinals/Pirates MLB game against the spread?